Saint Lucia should amend its Constitution and adopt national legislation on use of force to make it clear that police may not use firearms purely to protect property. Saint Lucia's Constitution was adopted in 1978 but has since been amended a number of times. 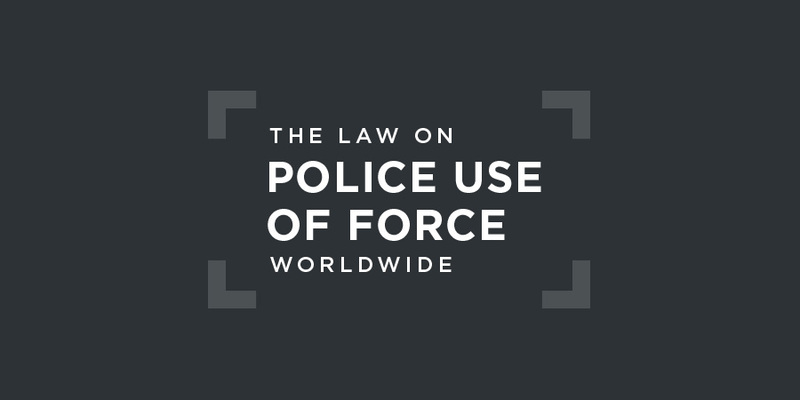 It provides for fundamental human rights and refers to the national police force, but does not explicitly govern its use of force. or if he or she dies as the result of a lawful act of war.1978 Constitution of Saint Lucia (as amended). This seemingly allows use of firearms to defend property, which is not permitted under international law. Section 5 of the Constitution stipulates that: "No person shall be subjected to torture or to inhuman or degrading punishment or other treatment." any unnecessary violence to any prisoner or other person with whom he or she may be brought into contact in the execution of his or her duty.S. 3(h)(ii), Regulations, 1965 Police Act. We remain committed and resolute to ensuring that the conduct of police officers, bad conduct in particular, does not go unnoticed or unchecked and that we are as law enforcement officers, are subject to all of the laws of Saint Lucia, the procedures and rules that we need to follow. The unit will leave no stone unturned to ensure that we resolve matters and investigate complaints made by the members of the public fully, and we will continue to ensure that we maintain the good image of the Royal Saint Lucia Police Force in the future. Saint Lucia is party to very few human rights treaties. In particular, it has not adhered to the 1966 Covenant on Civil and Political Rights (ICCPR) or the 1984 Convention against Torture. As a party to the 1992 Convention on the Rights of the Child, it last came before the Committee on the Rights of the Child in 2014. In its Concluding Observations, however, the Committee did not address police use of force against children. Saint Lucia is not a state party to the 1969 Inter-American Convention on Human Rights. A 2015 report by investigators from the Jamaica Constabulary Force concluded that officers from the Royal St. Lucia Police Force had effectively operated death squads, killing suspected criminals in 2010-11 during a security drive called Operation Restore Confidence, which sought to reduce violent crime and boost tourism. The police then covered up the killings, planting weapons at the scene. In May 2018, the Government of Saint Lucia said there was no "quick fix" to the alleged extrajudicial killings by members of the Royal St. Lucia Police Force. This followed concern expressed by human rights attorney, Mary Francis, that the probe into the alleged extra-judicial killings by police officers between 2010 and 2011 was still dragging on. The intention of the police squad in my view, at the time, was not to effect an arrest but to discipline Mr. Severin and deter him from any possible intended threatening behaviour towards a fellow police officer. The facts do not support the argument that the police officers went direcHy to find and arrest Mr. Severin. The kind of violence reported by the Claimant's witness Mr. Patrick betrays the true intention of the officers at the time. Nevertheless these were acts carried out by police offices in the course of their duties. ... Even if the excessive use of physical force followed words which arguably could have made police officers uncomfortable, on the facts there was nothing said which warranted this kind of retaliation.